Mark Alexander’s practice focuses on antitrust including litigation, merger clearance and antitrust counseling; complex commercial litigation; and trademark/copyright litigation. In antitrust, Mark has handled antitrust aspects of dozens of mergers and acquisitions in a host of industries, including wireless and wireline telecommunications, pharmaceuticals, medical devices, oil & gas, oil exploration services, consumer products, mining and minerals, insurance brokerages and business services. His antitrust litigation experience has included representing a corporate plaintiff in a challenge to attempted monopolization in the chemicals industry under Section 2 of the Sherman Act, defending a media merger from a private party challenge under Section 7 of the Clayton Act and defending advertising industry trade group activities from a challenge under Section 1 of the Sherman Act. 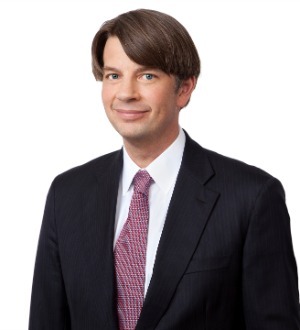 Mark has litigated and arbitrated a wide range of complex commercial disputes before courts and arbitrators across the United States. Over the last few years, he has handled several disputes under the Uniform Commercial Code concerning supply agreements in the chemicals industry. Mark’s other commercial litigation and arbitration experience includes a contract dispute among international investment consortium members, a dispute involving oil and gas exploration rights and an arbitration involving specialized software for the higher education industry. In intellectual property litigation, Mark has represented clients in the consumer health products and tool industries in disputes involving alleged trademark rights to the use of particular color schemes in trade dress. Other trademark experience includes representing the buyer of a business in a dispute over whether the businesses’ purchased goodwill allowed the buyer to claim its predecessor’s corporate history and representing a manufacturer in a dispute concerning its ability to utilize an industrial quality mark. Mark’s copyright experience includes litigating several disputes concerning infringement of commercial illustrations. Prior to joining the firm, Mark practiced in the New York and London offices of Sullivan & Cromwell LLP.